Winning is always satisfying and fun, and so is pizza. Logically, winning something by eating a lot of pizza would be double the fun, right? Hungry Howie's Pizza & Subs is giving you the chance at this year's Florida State Fair. With hundreds of boxes of pizza waiting for you to devour, do you have what it takes to win the Hungry Howie's Pizza Challenge? The pizza-eating contest begins at 3:00 p.m. on Tuesday, February 13th. The winning eater will get free Hungry Howie's pizza for a year, plus the bragging rights that come with being a champion! Before you can compete, first you must prove you have what it takes to get on stage as a finalist. Go to the contest entry site and upload a photo of yourself eating pizza. You'll also need to submit a video to explain why you have what it takes to be a Hungry Howie's Pizza Challenge finalist. Then the great pizza-eating voting public will vote to decide who gets to compete for the grand prize. You can vote for your favorite contestant on the same site you use to enter, with one vote allowed per day. 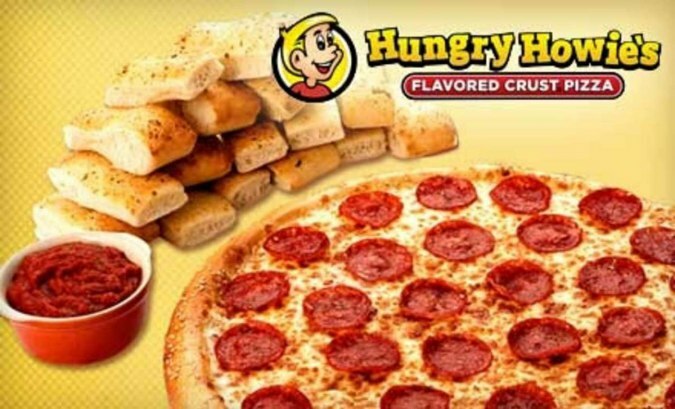 The Hungry Howie's Pizza Challenge will be hosted at the Florida State Fairgrounds, only a few miles from downtown Tampa off Interstate 4 and Orient Road. If you're chosen as a finalist, you'll receive two tickets to the Florida State Fair on February 13th -- one for yourself, and one for a friend to come and root you on. Hungry Howie's is also sponsoring a Family Night deal at the Fair on February 13. After 4 p.m., two adults and two children can get admission and rides for only $45! Grab the kids after school and head out to the Florida State Fair for an afternoon of fun, entertainment... and pizza. Lots and lots of pizza! For more family events and fun things to do in Tampa, visit 813area.com. While you're here, make sure to sign up for email updates... they're free! The promotion is managed by Hungry Howie's Florida. Images are provided by Hungry Howie's Pizza Co.